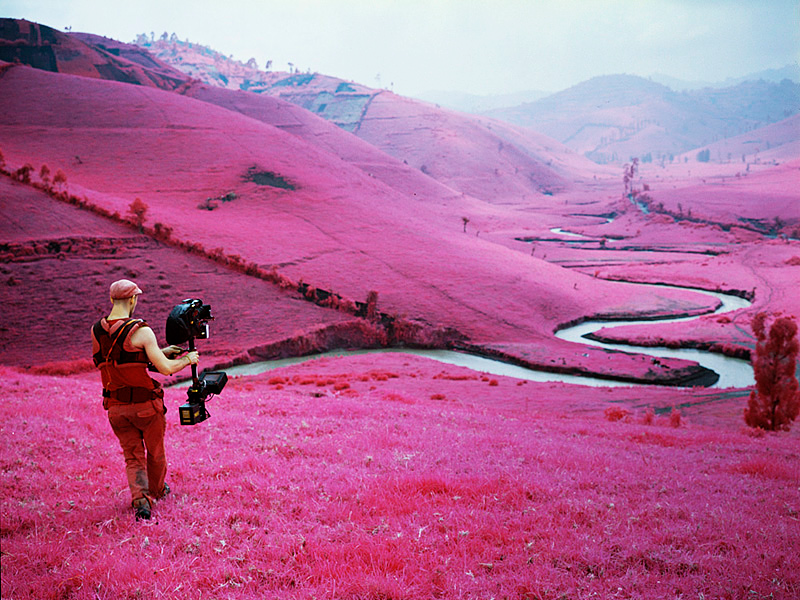 “The impossible photograph, that’s really what’s at the heart of my work” Richard Mosse. When I mentioned in my blog post last night that I’d like to try out some colour infraded film, old friend and fine art photographer Anna Karin-Lilleengen posted a link on my facebook wall. The link was to a ‘making of’ style video about a film called The Enclave by Richard Mosse. At the time, I didn’t even know that infrared cine film even existed. Little did I know that it had recently been used to create an incredible work of art. The out of this world shocking pink look that healthy green chlorophyll in plants reflects when shot on IR film totally accentuates the other world nature of the subject. As well as being a place that’s awash with healthy green chlorophyll in plants, The Congo has been a place of vicious and bloody violence for the last several decades. A place of desperation, of horror, of anguish. Not the kind of place you’d expect to find beauty. Not the kind of place you’d expect to see an incredible art project be born out of. Arguably, this work is perhaps one of the ultimate manifestations of Juxtaposition in art; pink with the overbearingly masculine war torn Africa, beauty with war. In the video Mosse touches on how for he went deep into the country to seek out rebel groups who were “way beyond the infrastructure of the United Nations, for example”. A level of commitment for any photojournalist, but what excites me the most about this, is the guys agenda – to make art. To capture the invisible – symbolically, using infrared film to film the ‘invisible’ rebel soldiers who are so deep behind the line, that the rest of the world – the press, the UN, the public eye can’t see them. Invisible people, invisible light. The impossible photograph. The Enclave is exhibiting in Venice until the 24th November. I’m rather hoping it tours and pops up somewhere closer to home. 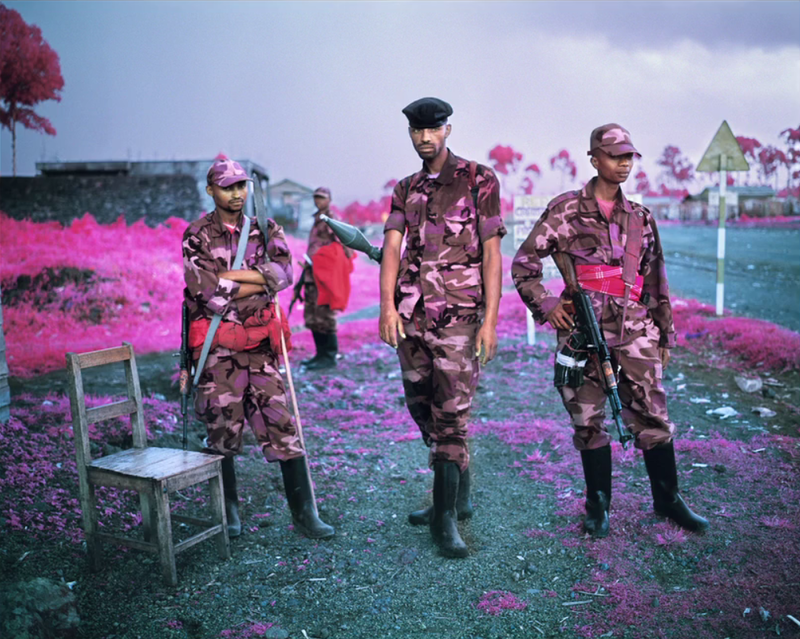 Bravo Richard Mosse.